Many physics problems have variational formulations making them appropriate for numerical treatment by finite element techniques and efficient iterative methods. 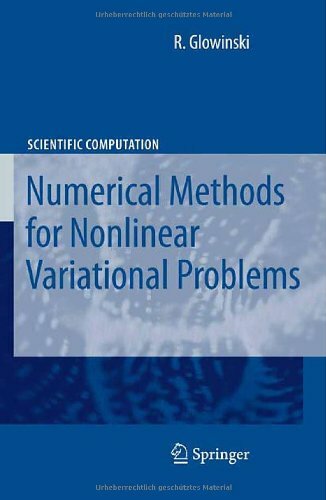 This book describes the mathematical background and reviews the techniques for solving problems, including those that require large computations such as transonic flows for compressible fluids and the Navier-Stokes equations for incompressible viscous fluids. Tutorial describing many of the standard numerical methods used in Linear Algebra. Topics include Gaussian Elimination, LU and QR Factorizations, The Singular Value Decomposition, Eigenvalues and Eigenvectors via the QR Method, etc. We present a new technique to apply finite element methods to partial differential equations over curved domains. Bramble-Hilbert lemma is key in harnessing regularity in the physical problem to prove finite element convergence rates for the problem.